I like Lee Ranaldo. He’s absolutely great. It’s sad that Sonic Youth is done (at this time), and I’m super glad he continues on with his solo project. It’s good stuff.. real good. I’ve done pedalboard break downs for Lee in the past, which is fun, because he’s always changing things up. Some pedals remain throughout, and new ones seem to pop up. Today, I came across a really cool video that was recently posted, where Lee is putting on a great guitar clinic. I like that he goes into his philosophy of gear and creativity. Definitely worth a watch! 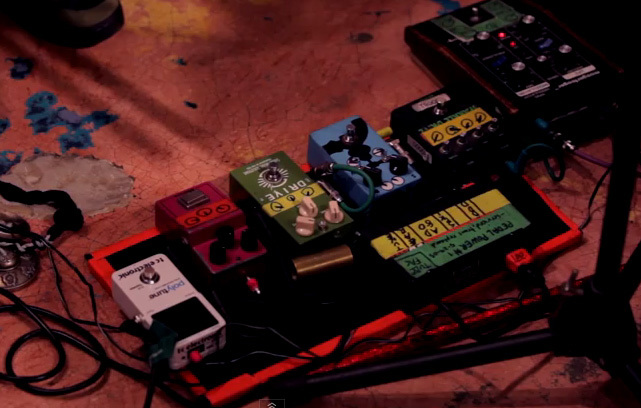 From this video, I was able to get two shots of his pedal board. Here is the break down of those pedals. As always, let me know if anything is incorrect or if I missed a pedal. I don’t know if you noticed the JAM Pedals WaterFall Chorus & Vibrato, but those look like my Pedal Labels! Boom! That’s not a wah pedal, that’s an expression pedal for the Ring Modulator. 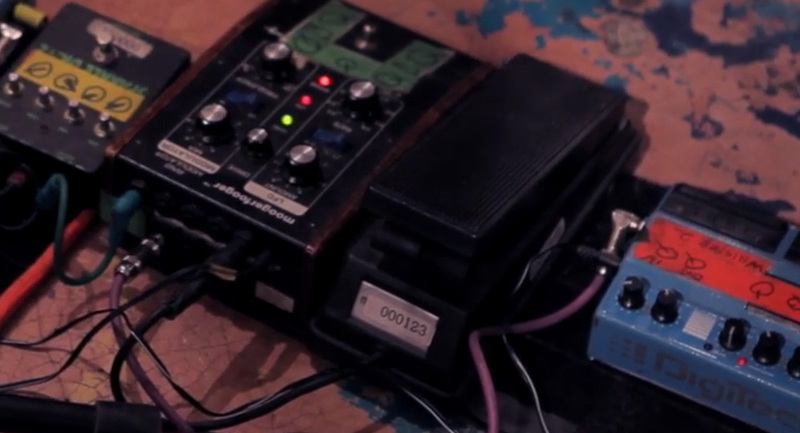 I’m pretty sure the wah is actually an expression pedal for his ring modulator. Props to you and your labels!